Facial Reflexology is a non-intrusive treatment that combines all the effectiveness of a traditional reflexology treatment with its own unique rejuvenating properties on the face, leaving you looking and feeling great. It is based on the theory that different different organs and systems in the body can be mapped out on the face, and that through gentle manipulation of these areas on the face, the reflexologist might have an energetic effect on the reflected area in the body. Are there any added benefits from the reflexology taking place on the face? 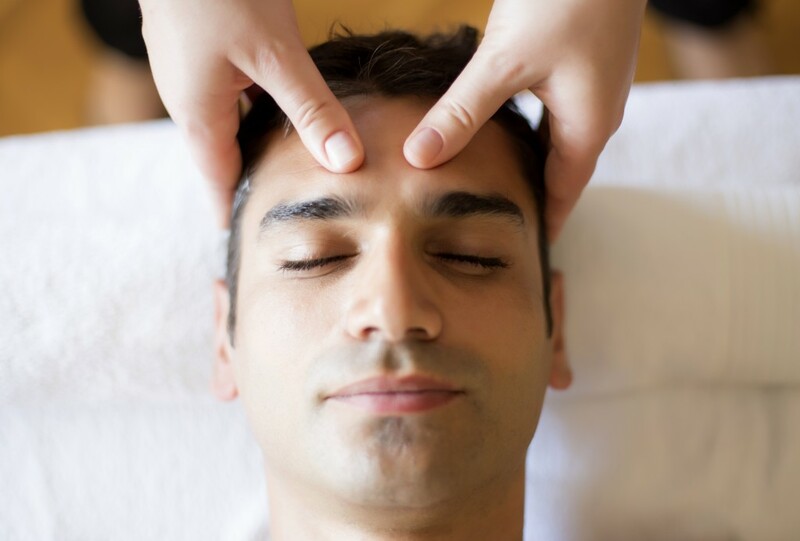 As with any manual manipulation of muscles, the facial reflexology allows for better muscle tone on the face, making the skin sit tighter to its underlying structures. This means that the face may look slightly more sculpted in shape, and lines may soften or disappear completely, depending on their severity. The massaging techniques that form the basis of the Facial Reflexology treatment also help lymph to drain away and encourage good circulation – so your skin can get rid of its waste products and receive the nutrients it needs more easily. The result of all this is that you’ll leave with a glow, both on the inside and the outside, as your skin will start to look visibly better without needing quite so much of your usual lotions and potions at home. You’ll both look and feel rejuvenated! What can I expect in a normal Facial Reflexology treatment? Specialist techniques will be applied to the face in a treatment tailored especially for you, leaving you feeling blissfully relaxed and looking so glowing that people might think you’ve been on holiday! Your first Facial Reflexology treatment can last up to an hour and a half, depending on the complexity of your consultation and the fine-tuning of your treatment. All other appointments take between an hour and an hour and fifteen minutes. Most people find that on the whole, their treatment is very relaxing, and they come away feeling very sleepy and relaxed. Some people find they need to visit the toilet a little more or feel a little tearful in the hours following a treatment, as the relaxation causes the body to release things it may have been holding in before. Rarely, some people may find their problem gets a little worse before getting better, or feel like a slight cold is coming on – however, this usually passes within 24 – 48 hours if you keep yourself well hydrated. Will you achieve your treatment aim within a treatment? You never know – for some, I have seen dramatic improvement, and for others a much slower progression. However, you should notice some visible difference to the face even after a single treatment, as the treatment leaves you with a visible glow to your features! All Facial Reflexology treatments cost £50, wherever you choose to have them. Love Facial Reflexology? If you want to take it a step further and treat yourself, why not try one of my blissful Top and Toe treatments? Combining the benefits of foot reflexology with the rejuvenating and deeply relaxing properties of facial reflexology, this treatment really will leave you glowing from head to foot! For more information, click here to visit my Top and Toe page. Looking to focus more on the rejuvenation aspect? Why not try one of my Zone Facelift Massage treatments? Available as 60 minute or 90 minute treatments, these have much more of a focus in helping to speed up the facial rejuvenation aspect of your treatments, whilst still giving you the benefits of facial reflexology. It’s an all natural way of helping you look younger and feel amazing!